(PRLEAP.COM) Joe Amos, Managing Shareholder of Fisher Rushmer, P.A, and last year's 2017 President of the Central Florida Chapter of the American Board of Trial Advocates (ABOTA), co-chaired the second annual 7th Amendment Symposium: The Right to Trial by Jury. The symposium, presented by the Central Florida Chapter of ABOTA, featured Florida attorneys and local judges. They spoke on the civil justice system and the Seventh Amendment in the state of Florida. Over 100 local high school students from Boone, Timbercreek, and East River High Schools had the opportunity to learn from esteemed judges and attorneys on the importance of a "trial by jury" and its personal significance for citizens. In addition to helping plan the event, Amos participated in a Panel Discussion, answering questions from students. The students specifically learned about the U.S. jury system as compared to those around the world, the history of the Seventh Amendment, and the anatomy of a civil trial. Plans are already in development for next year's Symposium, to be held in Fall 2019. "It has truly been a privilege to be a part of the 7th Amendment Symposium these last two years - and we look forward to next year's event," stated Joe Amos. "Having the opportunity to present and help educate high school students about the importance of this often overlooked Amendment is very rewarding. Every American should understand the rights afforded to them under our constitution and the 7th's great value to our country's legal system." The Seventh Amendment to the U.S. Constitution ensures that citizens' civil cases can be heard and decided upon by a jury of their peers. ABOTA is active in ensuring that the Seventh Amendment is preserved and protected in the United States. To learn more about the Seventh Amendment and ABOTA, visit www.abota.org. The Orlando law firm of Fisher Rushmer, P.A. has provided quality legal advice and services to clients in Central Florida and throughout the entire state since 1984. 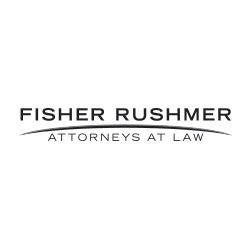 Recognized for excellence year after year, Fisher Rushmer, P.A. continues to be a top-ranked law firm throughout Florida, providing the resources of a large law firm with the personal touch of a smaller firm. At Fisher Rushmer, P.A., clients are served by attorneys, not case managers, so you receive the highly-skilled and personal representation that you need, in an effective and cost-conscious manner.